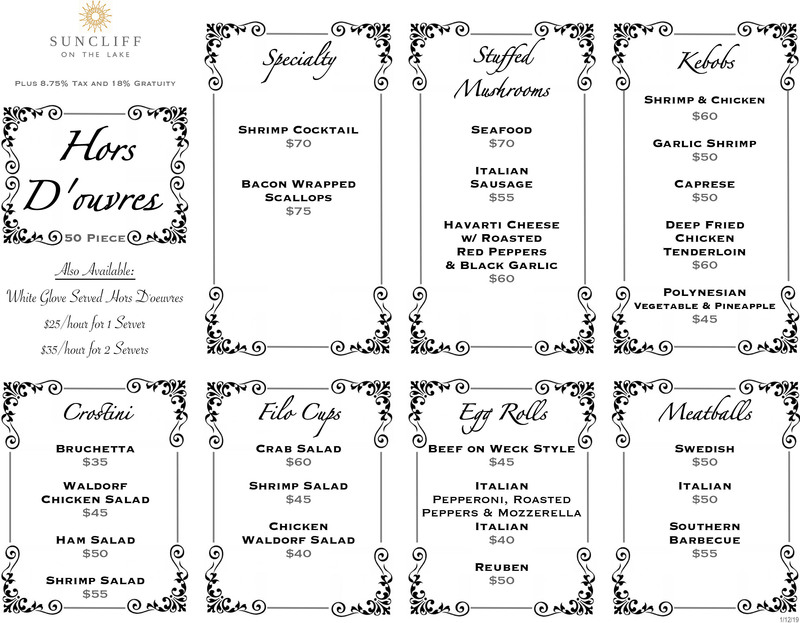 Introducing our delicious fare for your next Event! 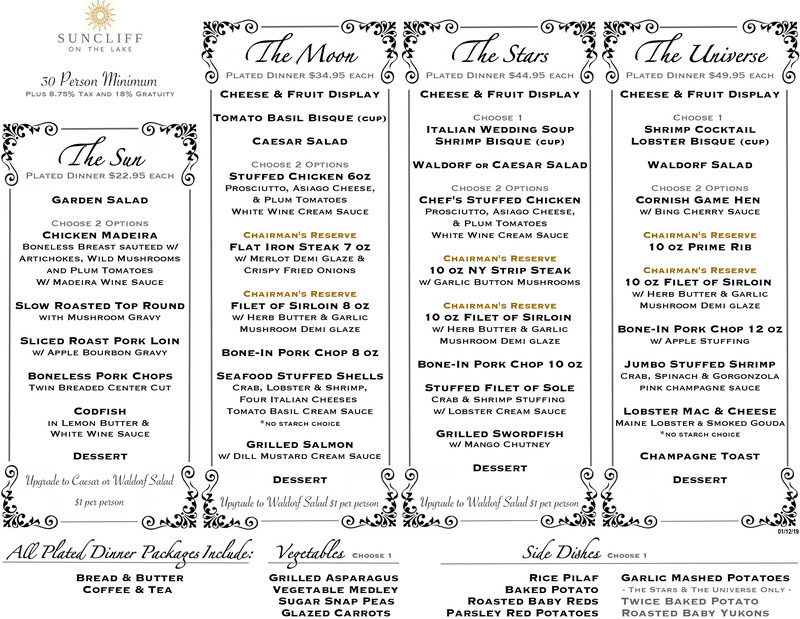 Suncliff on the Lake is proud to offer our guests a unique array of dishes and delicacies straight from our kitchen. Our new chef Andrew Oliveri simply has a wonderful way with food! 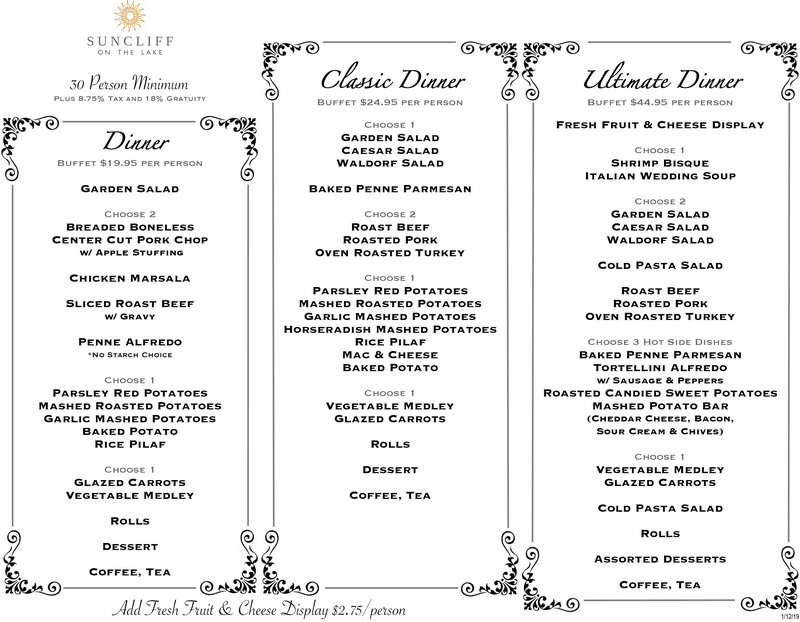 Take a look at the scrumptious choices available at your next event at Suncliff. 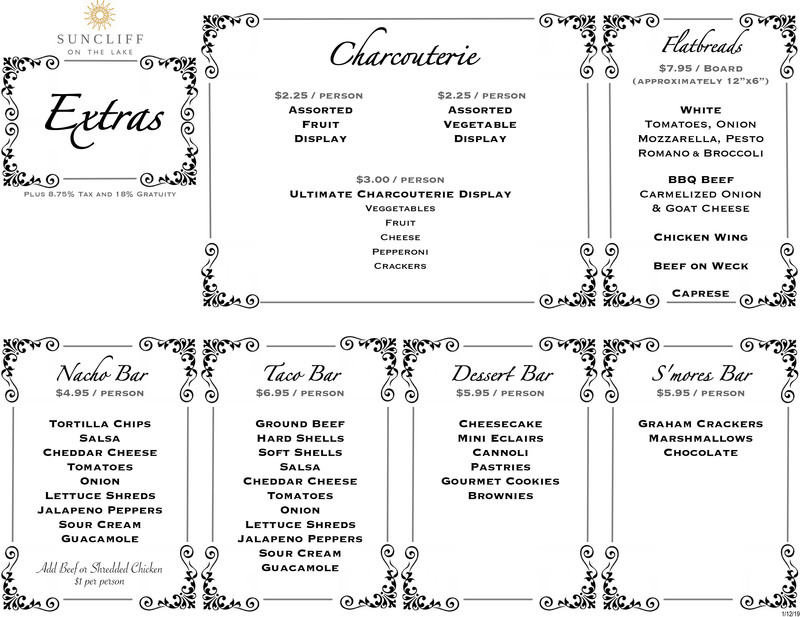 See our menus below and start planning! 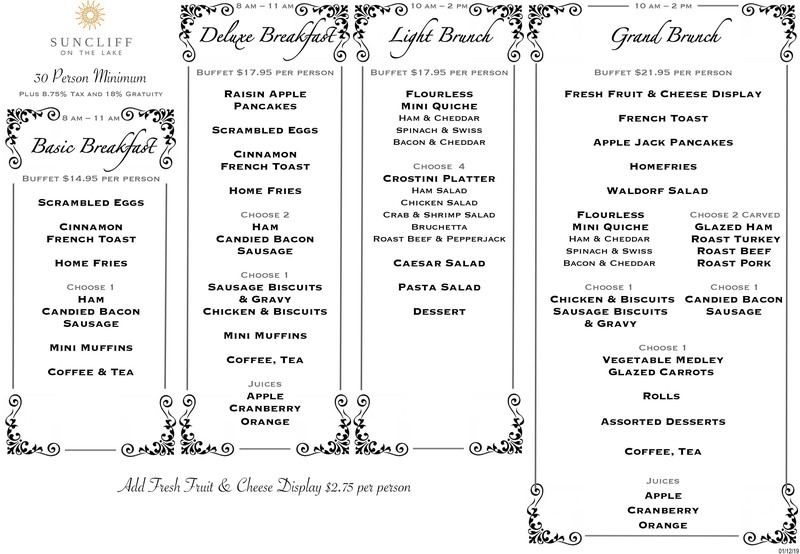 Or, stop in at the Lounge and have one of our daily specials. We are open to the public 4-9 pm daily. Someone recently asked if you had to be a member. NO! We’re not a private club, we’re a public establishment…good food and good company. 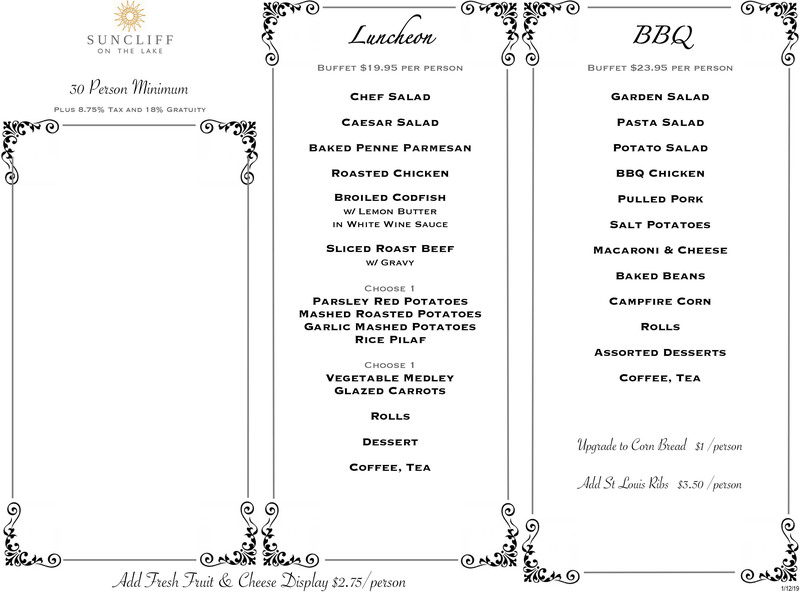 Come in to SunCliff on the Lake and enjoy!